Rock a light blue denim shirt with Ray-Ban wayfarer sunglasses from farfetch.com, if you want to dress for comfort without looking like you don't care. Bring instant glamour to your look with tan suede slip-on sneakers. If you're a fan of relaxed dressing when it comes to fashion, you'll love this on-trend pairing of a tan quilted gilet and Ray-Ban wayfarer sunglasses from farfetch.com. 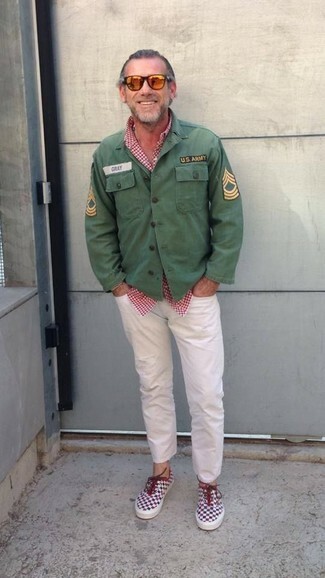 If you're all about functionality dressing when it comes to your personal style, you'll love this simple pairing of a green military jacket and Ray-Ban wayfarer sunglasses. Take a classic approach with the footwear and opt for a pair of red and white low top sneakers. If you're all about practicality dressing when it comes to fashion, you'll love this easy pairing of a beige overcoat and Ray-Ban wayfarer sunglasses from farfetch.com. If you're all about functionality dressing when it comes to your personal style, you'll love this stylish pairing of a black trenchcoat and Ray-Ban wayfarer sunglasses. 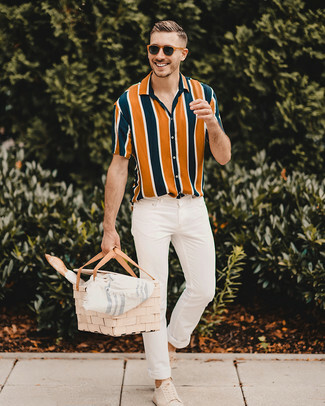 A multi colored vertical striped short sleeve shirt and Ray-Ban Wayfarer Sunglasses are a nice look to keep in your wardrobe. Why not take a smarter approach with footwear and add beige suede low top sneakers to the equation? 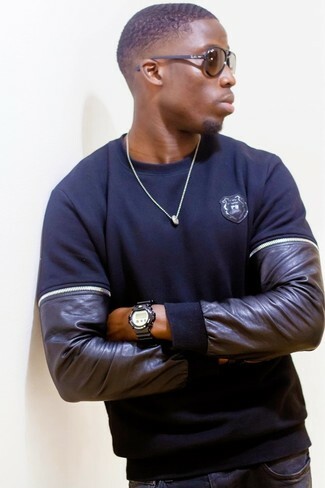 If you're all about functionality dressing when it comes to fashion, you'll love this easy combination of a black leather crew-neck sweater and brown sunglasses. 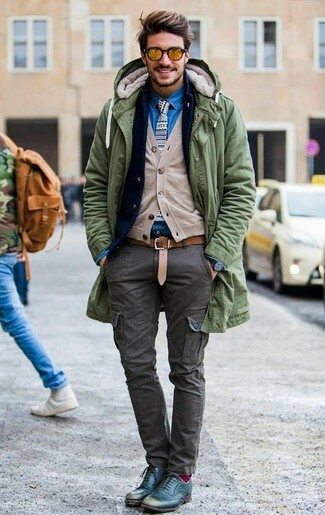 Wear an olive parka and brown sunglasses for a laid-back yet fashion-forward outfit. Kick up the cool of your ensemble by wearing teal leather brogues. 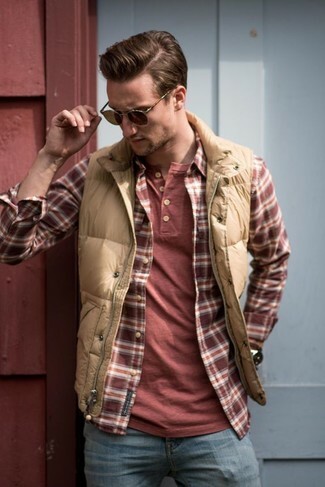 If you're hunting for a casual yet sharp look, wear a brown three piece suit and Ray-Ban wayfarer sunglasses. These two garments are very comfortable and will look stunning when worn together. You could perhaps get a little creative when it comes to footwear and lift up your outfit with brown leather derby shoes.